For many years now, people have started looking at alternative options to the traditional bachelors or master’s degree for a variety of reason. For some, it’s mainly because of the uncertainty of actually being able to land a position once they finish college. Furthermore, there is a growing number of lucrative, high demand positions for which bachelors or masters would actually be overqualified. Here are some of the best, most high paying jobs for people without a bachelor’s. HVAC technicians are in charge of installing, repairing and maintaining heating, refrigeration and air conditioning systems. They may be required to work with residential clients as well as businesses. HVAC systems are very complex, and technicians will have to have a well-rounded knowledge of the field and have the proper preparation as well. HVAC technicians can earn between $40 to $55k a year, depending on the market. States like Michigan for instance pay students slightly higher than the national average. If you want to know more about how to get certification in Michigan as well as job prospects, you can visit best-hvactraining.com for more information. If you were interested in real estate but didn’t want the income insecurity that comes with being a real estate agent, this could be a great alternative. Real estate appraisers are in charge of evaluating the value of homes relative to their market. They are essential in the home buying and selling process since there might be discrepancies between a home’s advertised price and its real value. They also give completely unbiased information and rely solely on data to provide an opinion on the house’s real value. Home appraisers work with both buyers and sellers as well. While you will need certification to work as a home appraiser, you won’t need to get a degree. Home appraisers can stand to make up to $63,000 a year. 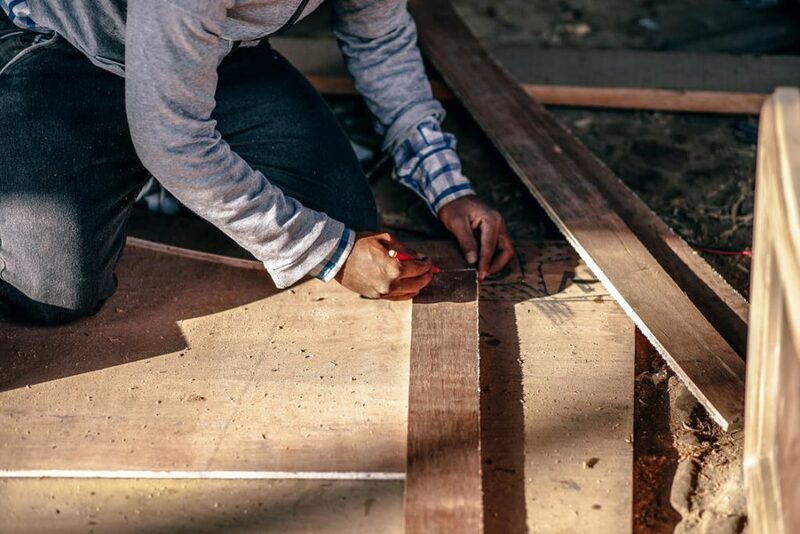 Carpenter is an often forgotten and overlooked trade for some reason, but carpenters are actually in great demand right now. Carpenters are responsible for repairing wooden structures and can also work in the manufacturing of finished wooden products. Carpenters can make up to $60,000 a year and even more if they decide to work as private contractors. This is another career that doesn’t require a long formation, however, skill is absolutely essential. But there is a huge demand for wooden products and creative carpenters are highly sought after for their skill. Property managers work in conjunction with real estate developers and owners. They are in charge of maintaining properties, dealing with tenant complaints and renting units. In addition, they will also be asked to advertise vacancies, run the property, collect rents and deal with any problems that might occur in the property. Property managers can earn up $54k a year, but that largely depends in which market you live. All these career choices don’t require advanced education and often pay just as much. So, before you decide on which career path you choose, take a second look at these options and see if they’re the right fit for you.